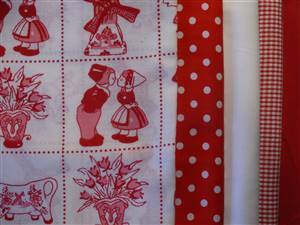 Bundle of 5 fat quarters red cotton fabric. 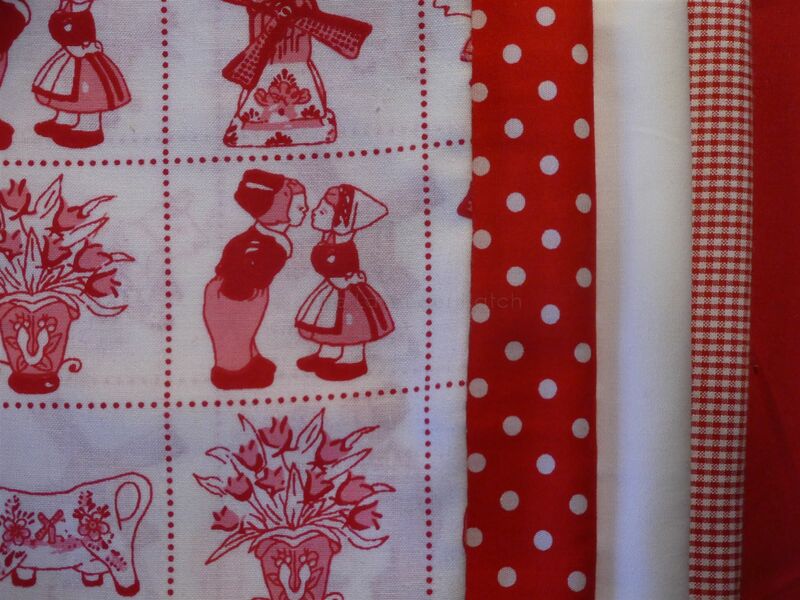 From 44" wide fabric. white is from 56". Squares are 2"